Exactly How Frequently do Hearing Aids Need to be Replaced? If you have an older ear horn of a hearing aid, it’s time to upgrade it. The question is, should I do it now, or should I hold off? You bought your hearing aids ten years ago, and they still seem to work, right? Older hearing aids might possibly be better than none, but what’s the real cost of not updating. In the past couple of years, hearing aid technology has come a long way. We’ve moved from analog to digital, to begin with, and there are features now that weren’t even in the design phase 10 years ago. 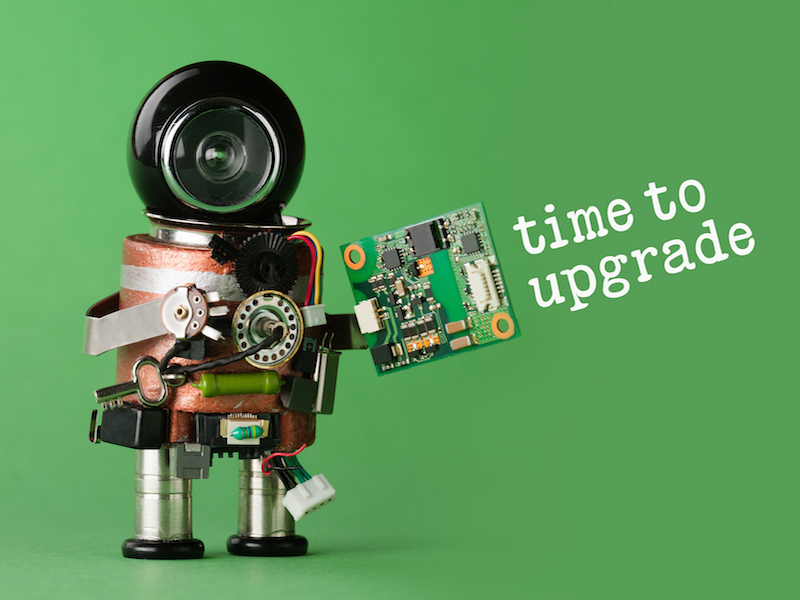 It’s absolutely time to consider an upgrade. Consider several reasons why. Older or maybe even cheap hearing aids come with several issues including that irritating buzzing sound you hear every now and then. And what about that feedback anytime you go near a phone, that’s enjoyable. Often times that unpleasant feedback comes out of nowhere, too. “What now”? It’s not that unusual for you to sit by yourself and miss the stimulating discussion. How about the time when your hearing aids wouldn’t stop quitting while your grandson was singing a little song he learned at school. But you still clapped. Old hearing aids come with all of these issues. The focus ten years ago was on raising the volume. Current technology filters out irritating loud background noise like a humming fan. That fan was really not as noisy as those old hearing aids made it seem. The cost is only one off numerous factors when purchasing new hearing aids. When you consider all the factors, you will come to realize that outdated hearing aids will wind up costing you more than new ones. Analog devices need new batteries a lot. It can get expensive to replace your batteries once or even twice every day. Older hearing aids break frequently and will need repair service. You can compare it to an old truck. It’s in the shop more than it’s in your ear and repairs are not cheap. It’s Hard to Manage in Life if You Can’t Communicate. Research has shown that loss of hearing can mean a smaller salary. Doesn’t it make sense then, that better hearing aids would be a career asset? When working, it is important to be able to hear your bosses directions or maybe even a customer’s questions. You will follow instructions without questioning whether you got it right and will take part in essential discussions without having to worry about whether your hearing aids will hold up or not. And everyone knows that quality communication is the cornerstone of a quality life. No more getting stuck in the middle of conversations that you can’t even hear. Jump right in and engage with the people all around you. When you glance in the mirror at your out of date hearing aid, what comes to mind? Awkward? Noticeable? Oh my god? One of the most noticeable benefits that come with updating those old hearing aids is stylishness and flexibility. Current hearing aids come in a wide array of shapes, sizes, and colors. It’s possible to have one hidden so tightly in your ear, that no one will ever see it, or you might make a fashion statement with a visible hearing aid in your favorite color. Your hearing has changed. you’re not hearing as well as you once did even with the hearing aid in . Your life has changed, and your hearing aid has a rough time keeping up. It’s annoying to take it out just to talk on the phone, or maybe you’ve switched jobs and now you need to manage more background noise. Your hearing aid keeps quitting. It just isn’t reliable now, and that’s a problem. You know for sure that your hearing aid is not digital. Ouch, go digital fast. Your hearing aid feels heavy. Clunky, old technology weighs a lot. Your hearing aid is all you see when you look in a mirror. That old technology is really bulky, too. You are changing the batteries constantly. Modern hearing aids are much more energy efficient and some come with rechargeable batteries. It’s not rocket science. If you’ve owned your hearing aids for more than seven years, it’s time to trade up and hear better. Contact a hearing aid professional to get started.